Hanoi (VNA) – The ASEAN Coordinating Centre for Humanitarian Assistance on disaster management (AHA Centre) has supported flood-hit localities in the northern mountainous region of Vietnam with home supplies worth 230,000 USD. The supplies include 600 household kits, 3,000 private hygiene kits, 600 kitchen kits, a mobile canvas house for storing goods, a 16KVA generator, and 300 tool kits for house repairing. The things, which were taken from the Centre’s warehouse in Subang, Malaysia, arrived in Noi Bai International Airport in Hanoi on the afternoon of August 8. They will be sent to the needy as soon as possible. This is the first time Vietnam has called for ASEAN’s support for its people who have been heavily affected by natural disasters. Adelina Kamal, Acting Director of the AHA Centre also sent the sympathy from the centre and the ASEAN community to those people who have been severely affected by floods and landslides in Vietnam’s northern region. She also thanked the Vietnamese Government for having belief in the centre and calling for the AHA Centre’s support. The AHA Centre, which is headquartered in Jakarta, Indonesia, is an intergovernmental organization formed by the 10 ASEAN members on November 17, 2011. It aims to create favourable conditions for and coordinating the cooperation between the ASEAN members and international organisations in promoting regional partnership in managing disasters. 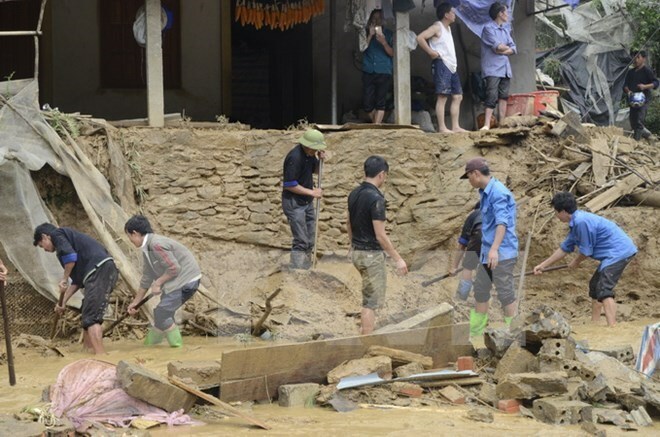 Over the past one month, prolonged torrential rains, flash flood and landslides have affected northern mountainous localities of Vietnam, mostly Son La, Yen Bai, Dien Bien and Nghe An. According to the Central Steering Committee for Natural Disaster Prevention and Control, as of August 7, heavy rains and flash floods have taken the lives of 26 people and left 15 others missing and 27 injured. Floods also swept away and collapsed 231 houses, damaged 245 houses, submerged 338.5 hectares of rice, and made 398 households leave their homes to safer places.